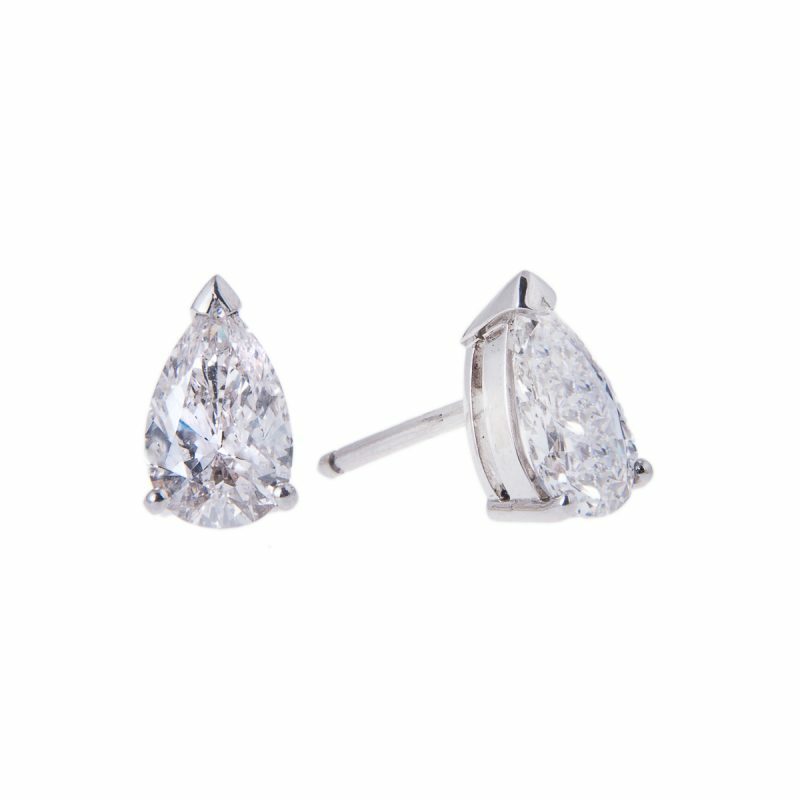 A connoisseur’s selection, a pear cut diamond suspended from a trio of brilliant diamonds, mounted in an articulated claw setting. 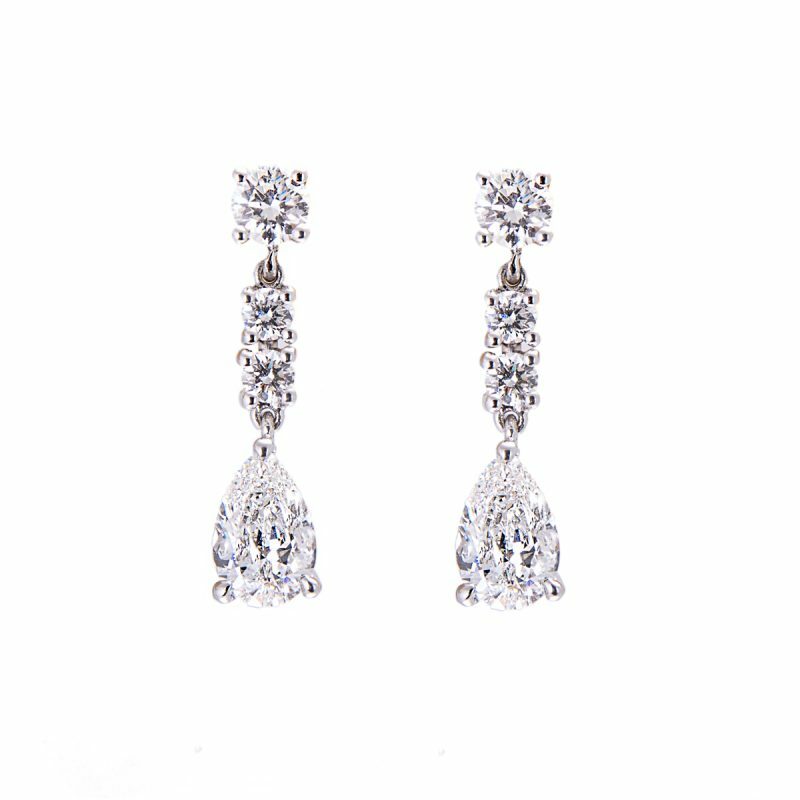 Magical earrings, captivating the wearer with their radiance. 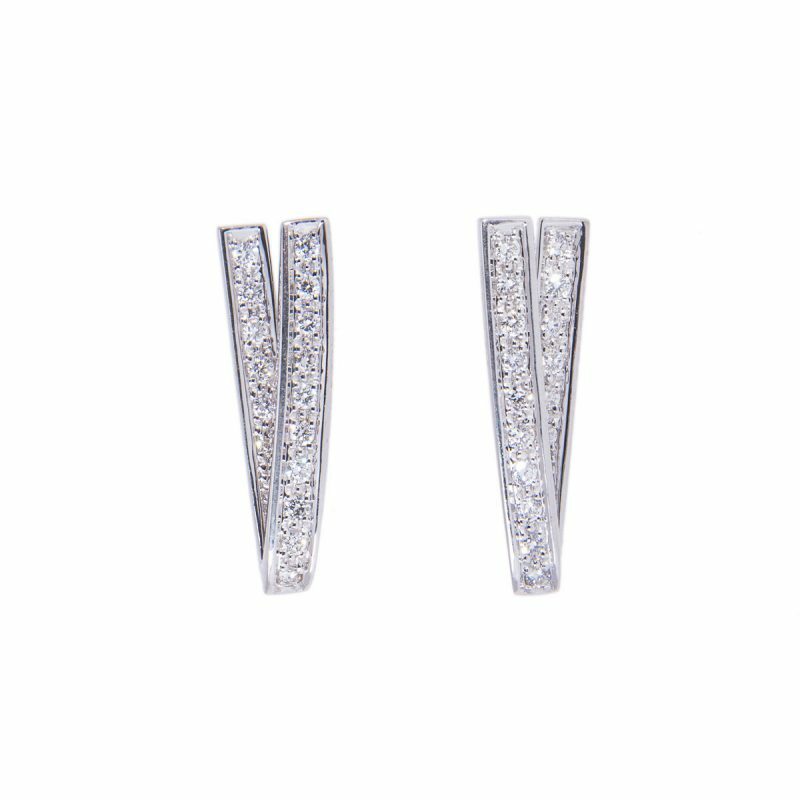 A pure and elegant design set in 18ct white gold with post and butterfly fittings. 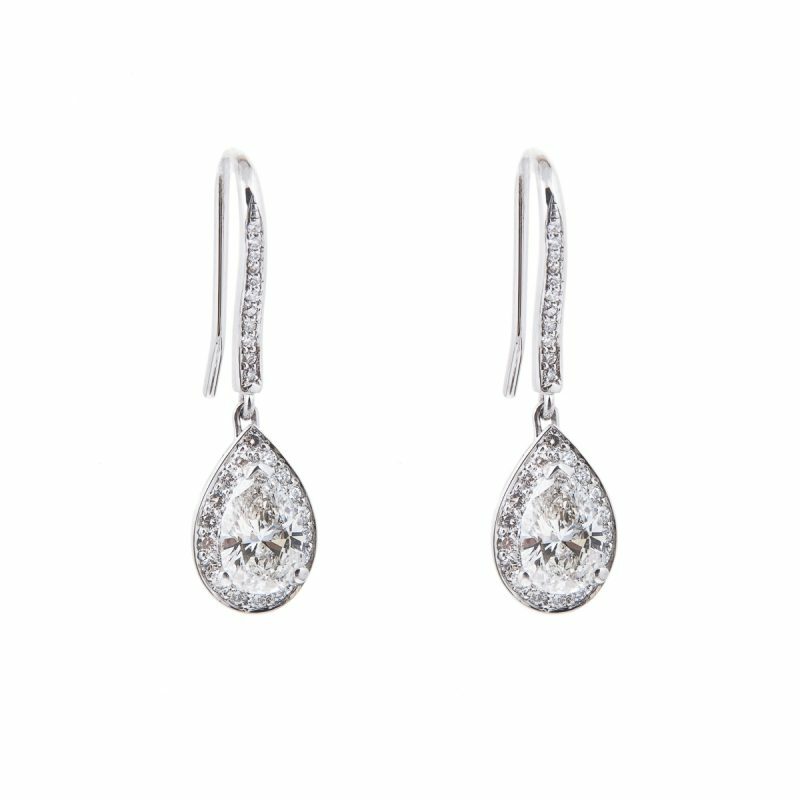 A timeless design to span the decades. 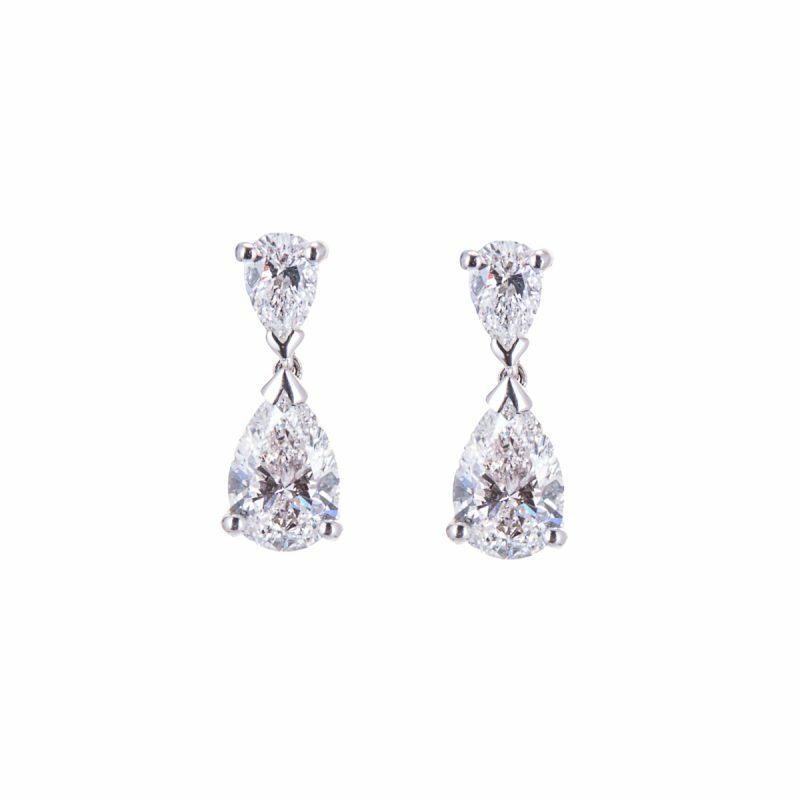 The diamonds reflect the sun’s rays or moonbeams of romance, just over a carat and a half of light giving eternal pleasure to that special wearer.